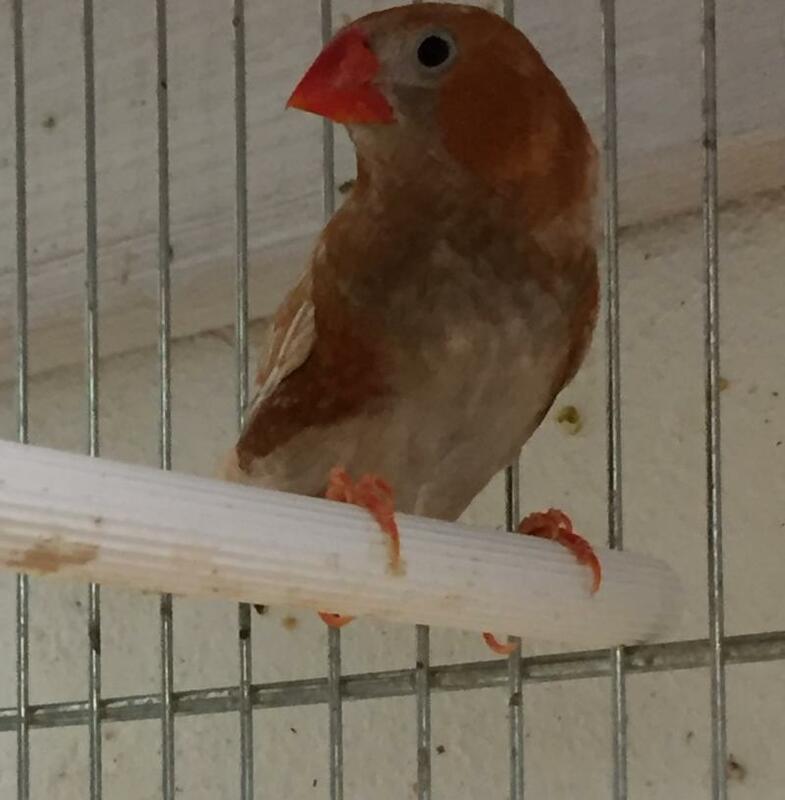 ﻿I breed Zebra Finches for thier beauty and the fact that they are so interesting to watch. 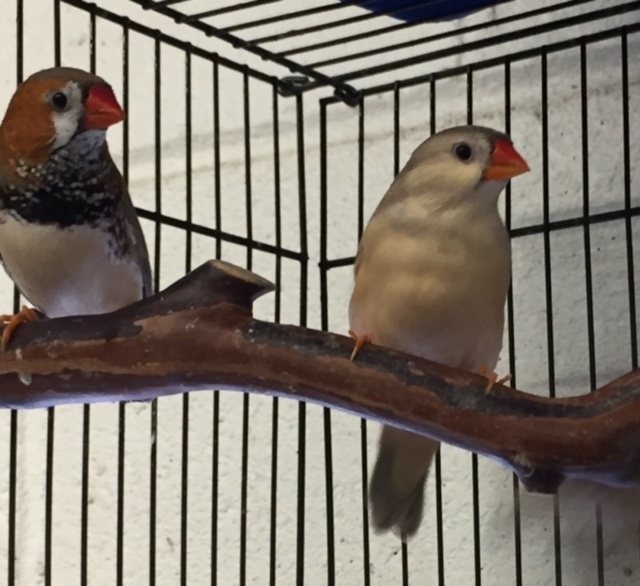 Zebra Finches make wonderful pets and are extremely easy to care for. 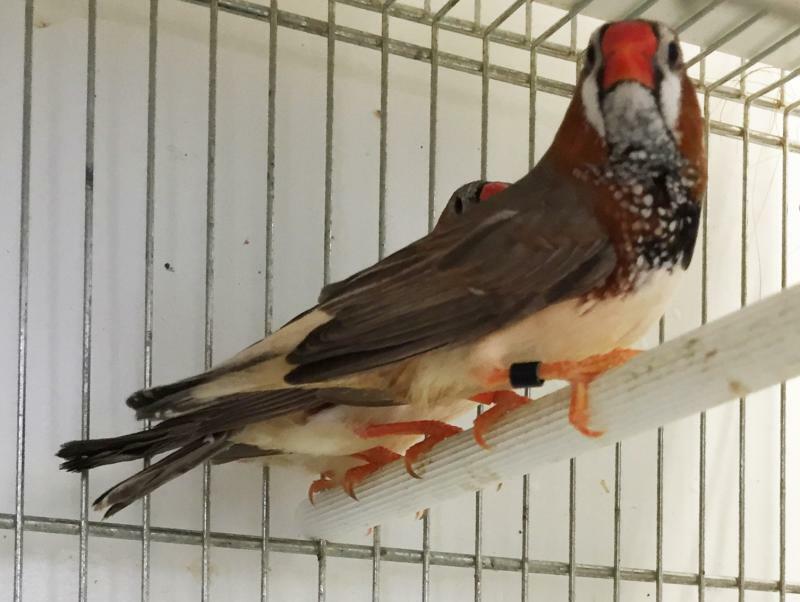 They are excellant first time pet birds. I like the mutations and work with Black Breasted, Orange Breasted and Black Face Black Breasted. 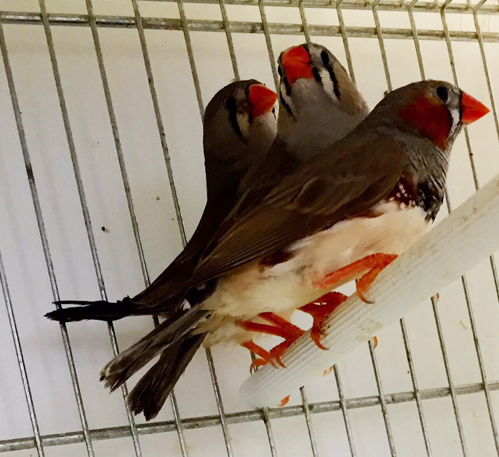 Zebra Finches are great for beginner bird keepers. They are hardy and easy to care for. Two zebras can be comfortable in a 15" cage. Two males or two hens make good cage mates should you decide. Zebras are very active pretty little birds. Diet: Finch mix, Cuttlebone, fresh veggies and millet. The perfect Male Black Breast has a large breast bar and cheek patchs which are 2 to 3 times the normal size extending to the back of the head. The chestnut flanking is quite unique with elongate white markings, rather than circular dots. 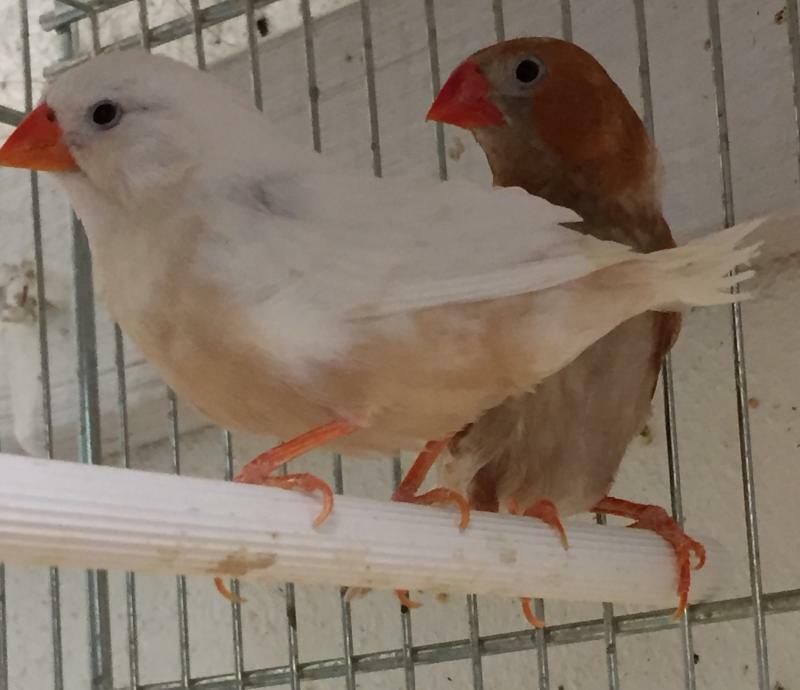 The rump and tail coverts are rich cream, with the tail coverts lacking the standard black and white markings of a regular Zebra Finch. Black Breast are beautiful and very different, and I treasure them.